Once overshadowed by its illustrious neighbours, the Chilean Capital is finally gaining credibility in its own right.  Santiago is a vibrant cultural hub, boasting countless historical monuments, artsy creative districts, world class museums, a thriving gastronomic scene and exciting nightlife. 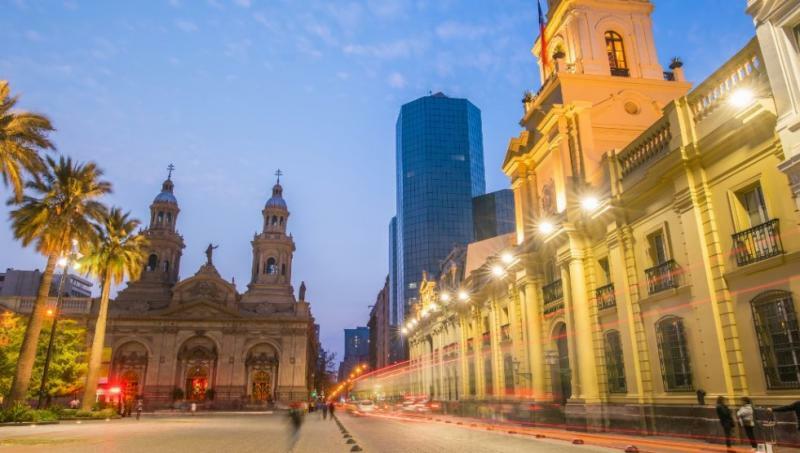 Couple this with the introduction of new flight routes from across the US, Europe, Oceania and Latin America, and suddenly Santiago has transformed into an unmissable travel destination. Pedro de Valdivia founded the artistic and spirited Santiago in 1541, at the bottom of the Huelén Hill, now known as Santa Lucía Hill. The perfect way to begin any Chilean experience is by cycling through this beautifully luscious hilltop park and absorbing the sunshine in one of Santiago’s oldest public spaces. For a little more history and a dose of neoclassical architecture, head to the famous La Moneda Palace, the seat of the country’s president. This historic structure is even more impressive when coupled with the changing of the guard ceremony which takes place at 10am every other day (even days in January, April, May, August, November and December; odd days in February, March, June, July, September and October). During this ceremony, two mounted units lead a military band and the new guard meet the departing detachment. The next stop is Santiago’s centrepiece, the Plaza de Armas. Situated at the heart of the city, this picturesque plaza is the perfect place to experience authentic Chilean culture in the form of lively street musicians, performers and artists. Surrounding the square, there are numerous prized historic buildings, but the most revered, perhaps, is the Metropolitan Cathedral of Santiago. Slip inside this time old baroque masterpiece and peacefully roam through the building’s gilded columns, visiting the crypt, the three naves, the several altars and the chapel along the way. Also situated in Santiago, is one of the world’s most important memorials. The Museum of Memory and Human Rights is an impressive glass and copper construction which is dedicated to the victims of the brutal regime led by Augusto Pinochet from 1973 to 1990. A reminder of the country’s tragic past; the museum is a symbol of cultural awareness and commemorates those who suffered at the hands of the horrific dictator. The museum catalogues photographs and video footage of the Chilean victims and also hosts regular events and frequent exhibitions which underline the importance of human rights. Head outdoors and soak in the beauty of San Cristóbal Hill. A glorious swathe of green space, its summit features an impressive 14-metre-high statue of the Virgin Mary whilst also rewarding visitors with one of the most spectacular panoramic views over the city of Santiago. Another reason many visitors head to this spot is to pay homage to the great Chilean poet, Pablo Neruda, at La Chascona. Positioned on the slopes of San Cristóbal Hill, the house which formerly belonged to Neruda maintains the poet’s quirky and eccentric style. The house’s name, which loosely translates as ‘messy hair’, was named for Neruda’s third wife, Matilde Urrutia, who had a wild red mane and lived with until Neruda until his death in 1973. Tune in to an audio tour which will lead you around this pleasant hideaway and gaze upon interesting memorabilia awarded to Neruda in recognition of his prize winning literature. Whilst visiting Santiago, it is easy to get swept up in the city’s countless historical landmarks but this comes at the risk of missing out on the many other faces of the Chilean capital. No trip to city is complete without visiting the bohemian Bellavista neighbourhood. Known for its art scene, cafes, boutiques and cocktail bars, Bellavista is the ideal location from which to experience modern Chilean culture and lifestyle. Tree lined streets and colourful lodgings almost transform the entire district into an outdoor art museum; which is appropriate considering the wealth of galleries and artistic venues that inhabit the area. A particular favourite is the Fashion Museum, in which guests are invited to browse through a collection of famous garments such as John Lennon’s military jacket and a strapless gown that once belonged to Princess Diana. Those who enjoyed Bellavista will certainly want to pay a visit to Santiago’s Italian Quarter. Settled by immigrant artisans in the 19th century, this area is undergoing a rejuvenation and is brimming with beautiful furniture and crafts, boutique cafés and antique bargains. Foodies and design enthusiasts roam the streets as jolty music drifts through the warm Chilean air. The area is awash with international influences, back-dropped by Chilean culture and is quickly becoming one of Santiago’s most sought after districts. Undeniably, one of the most exciting things about a trip to Chile is the thriving food and drink scene which has erupted throughout the country. In recent years, Chilean wine has become a massive player on the world stage and the new world wines which are produced in the country are now among some of the most popular and esteemed in the world. Fortunately for visitors to Santiago, some of Chile’s most renowned vineyards are right on the capital city’s doorstep. Heading east, south or west of Santiago will take you to the most picturesque, fertile wine valleys in Chile. A mere one hour drive from the city, visitors will find Chile’s youngest, but perhaps most popular valley. The Casablanca Valley boasts countless modern cellars and boutique wineries and has gained particular recognition for the production of delectably crisp Sauvignon Blancs and Chardonnays. The closest valley to Santiago is the Maipo Valley. With over 7,000 acres of vineyards, this region has a 150 year wine growing legacy and is celebrated in particular for the production of rich, fruity Cabernet Sauvignon. About 80 miles (129km) south of Santiago lays the Colchagua Valley. Home to high-profile wineries such as Montes and Viu Manent, these vineyards are renowned for their delicious reds, in particular Carmenere and Syrah. Wine aside, there has never been a better time to explore Santiago’s food scene. Many people may have never sampled Chilean cooking, or for that matter, even know what it is, but the past decade has seen an explosion in Chilean culinary creativity. Once overshadowed by the gastronomic achievements of its more well-known South American neighbours, Chile is finally ready to take the limelight. With 2,650m (4265km) of Pacific coastline, Chile is a prime destination for sampling seafood. Santiago’s Mercado Central, with its revered lunchtime food stalls, is the perfect place to get in on the action. Treat yourself to a fresh serving of ceviche or a bowl of Caldillo de Congrio; a Chilean fish stew made by boiling together fish heads, onion, garlic, coriander, carrots and pepper. Another popular choice is to taste some of the indigenous Mapuche recipes. These unsung dishes are soaring in popularity and can be found in an array of restaurants in Santiago. Delicacies such as Milcao, a pancake made of potatoes from the Chiloé archipelago, and Charquicán, a potato, pumpkin and beef stew, are just a couple of examples of what to expect. Alternatively, visitors to Santiago have the option of heading out on to the streets and indulging in the city’s booming street food tradition. Trucks and carts are dotted around the city serving up a cacophony of delicious treats, such as Empanadas; a delicious South American stuffed pastry which are filled with cheese, ground beef, onion, raisins, black olives and boiled egg or shellfish. For fresh Chilean ingredients, head down to La Vega. As one of Santiago’s busiest food markets, the is the best place to discover popular Chilean and South American fruits and it is a top spot to try Cazuela, a Chilean favourite, made with chicken, Chilean pumpkin and other vegetables. As the sun sets over the barrios, Santiago is poised, ready to entertain its adoring audience. Most of the nightlife can be found in the city’s downtown areas, namely Bellavista, Barrio Brazil and Ñuñoa. Laidback bars attract local and international crowds serving up anything from local beers to artisan gin cocktails, while buzzing clubs party on until the early hours. So, there you have it, it is time to wave adios to the likes of Buenos Aires and take a trip to South America’s most emergent destination. Santiago is a budding metropolis that will excite you, invigorate you and most of all, surprise you.